Sean Hayes & Megan Mullally Bring 'Will & Grace' to SAG Awards 2018! 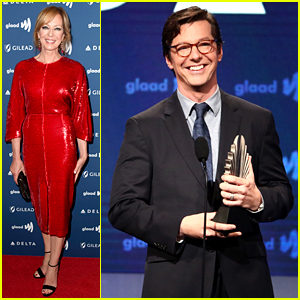 Sean Hayes and Megan Mullally represented Will & Grace at the 2018 Screen Actors Guild Awards! The co-stars attended the annual award ceremony at the Shrine Auditorium on Sunday (January 21) in Los Angeles. While Sean hit the red carpet with his husband Scott Icenogle, Megan was spotted as she presented an award alongside Gina Rodriguez. Meanwhile, their co-star Debra Messing was at Sundance with John Cho for the premiere of their new movie Search. That same day they also stopped by the DIRECTV Lodge presented by AT&T. Eric McCormack is joined by wife Janet Holden as they arrive at the 2018 Golden Globe Awards held at the Beverly Hilton Hotel on Sunday (January 7) in Beverly Hills, Calif. 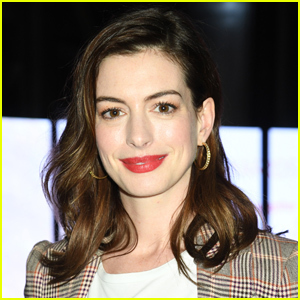 The 54-year-old actor was joined on the red carpet by his Will & Grace co-star Sean Hayes and his husband Scott Icenogle. Also stepping out for the awards show was American Horror Story star Billy Eichner. FYI: Sean is wearing Giorgi Armani. Billy is wearing Christian Louboutin shoes. Sean Hayes played one of the most iconic gay characters ever on television during his run on Will & Grace, but he was still in the closet at the time. The 46-year-old actor didn’t come out as gay until 2010, several years after the series went off the air. Sean was presented with an award at the 2016 Outfest Legacy Awards on Sunday night (October 23) in Los Angeles and he apologized for not coming out sooner. 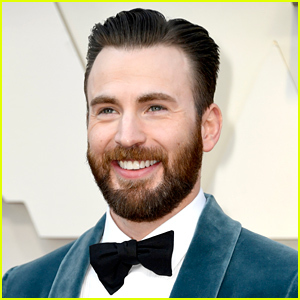 The award was presented by Dax Shepard and the actor was joined by husband Scott Icenogle at the ceremony. 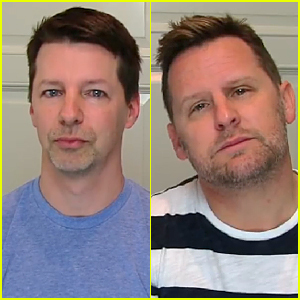 Sean Hayes & Hubby Lip Sync Iggy Azalea & Jennifer Hudson's 'Trouble' - Watch Now! Check out Sean Hayes showing off his lip syncing skills in a new video posted on Facebook! 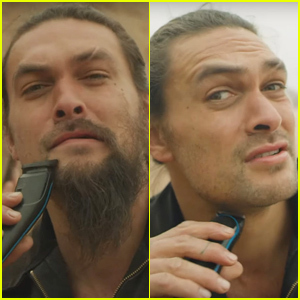 “So, there’s this,” Sean captioned the video. WHAT DO YOU THINK of Sean Hayes lip-syncing Iggy Azalea’s part in “Trouble”? 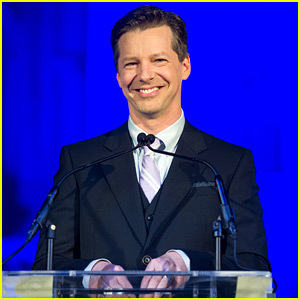 Sean Hayes Marries Longtime Partner Scott Icenogle! 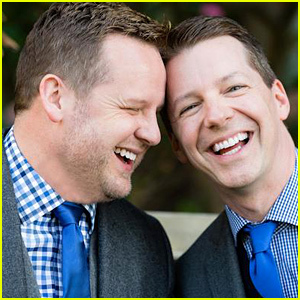 Sean Hayes and his longtime partner, music composer Scott Icenogle, have tied-the-knot and have shared their first photo from their wedding! “Here’s a #TBT photo of @scotticenogle and me getting married last week. Took us 8 years but we did it!” the 44-year-old captioned the picture on his Twitter account while simultaneously breaking the news to his fans. Sean and Scott‘s engagement news only just broke at the end of last month. They have been together for eight years. Congratulations to the very happy couple on the wonderful news!